No job is too big or small for the trained staff at Gearhart Plumbing, Heating & Cooling. 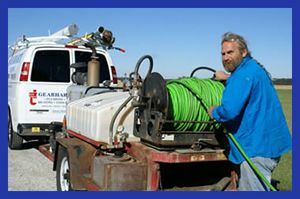 Gearhart has been cleaning drains for over 30 years. Gearhart has a history of prompt and reliable service. New state-of-the-art drain cleaning equipment continues to enhance Gearhart's ability to locate and remedy that often unpleasant drain back-up. 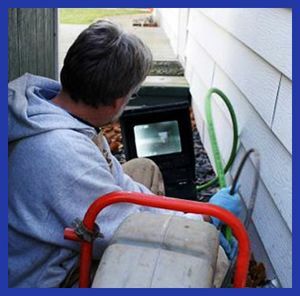 Gearhart's televising equipment, jet cleaners and repair/replacement technologies will provide the timely, cost-efficient service Gearhart's customers deserve and have come to expect. Whether it's a preventive measure or an emergency situation, Gearhart has the manpower and equipment to keep you flowing. Gearhart Plumbing, Heating and Cooling specializes in clogged drains whether your drainage problems are inside or outside your home or business. 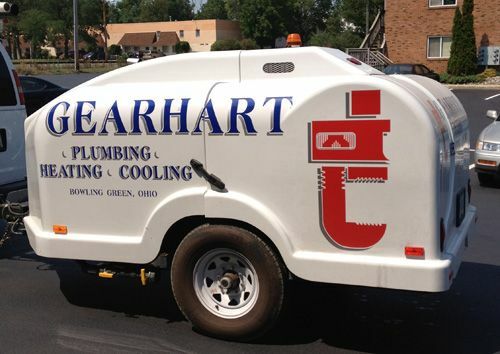 The latest drain cleaning equipment and over 75 years combined drain cleaning experience are reasons to look to Gearhart Plumbing Heating and Cooling to solve your drainage issues. Inside Gearhart Plumbing can cable, snake or rotoroot your bathtub drains, shower drains, kitchen sink drains, floor drains, and washing machine drains. Outside Gearhart will work to clear your drain tiles, your storm drains and your sewer drains. If you are tired of standing water in your yard Gearhart can offer solutions to draining the low areas. 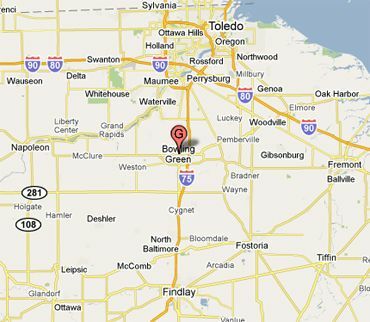 Located in Bowling Green, Ohio, close to the campus of Bowling Green State University (BGSU) – Gearhart Plumbing, Heating and Cooling serves Wood County and the communities of Bowling Green, Haskins, Grand Rapids, North Baltimore, Perrysburg, Pemberville and Waterville, Ohio.